Here at Barnebys, we have partnered up with The Art & Antiques Fair Olympia to celebrate their 45th year. We're giving away 5 pairs of tickets to their exclusive preview night on 26th June, 2017. With art, design, jewellery and more ranging from £100 to thousands there truly is something for everyone. More than 25 000 visitors are expected to check out 55 000 pieces from 160 dealers, who have saved some of their best pieces especially for the event. Another exciting part of this year's event is the return of the SOFA LONDON part of the fair. SOFA is the critically acclaimed Chicago-based show dedicated to contemporary three dimensional art and design. So what are you waiting for, for your chance to win a pair of tickets to the opening night and be amongst the first to see what amazing art, design and antiques the fair has to offer, simply send your name and postal address to competition@barnebys.com by 12pm on Monday 19th June, 2017. The Art & Antiques Fair Olympia will be held on 26th June – 2nd July, 2017 at London's Olympia. The preview event will take place on 26th June, with tickets priced at £60 each. Advance tickets for the rest of the event can be purchased at £15 in advance and £20 on the door. Don't forget to send your name and address to competition@barnebys.com by 12pm on Monday 19th June, 2017 for your chance to win! 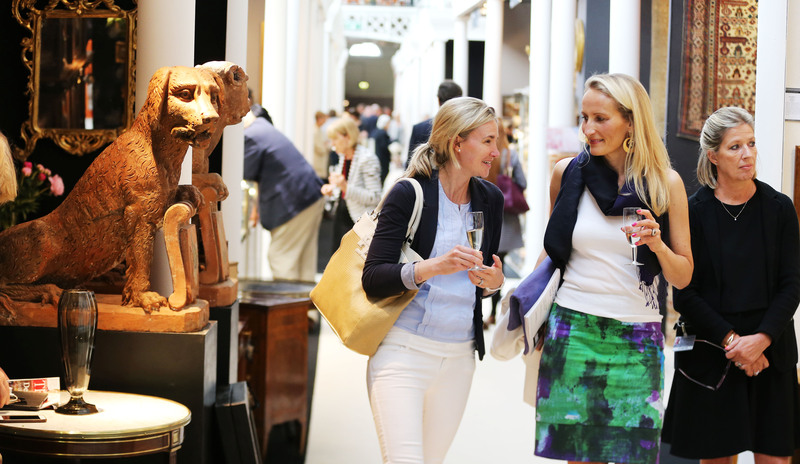 Follow The Art & Antiques Fair Olympia on Facebook, Twitter and Instagram.